Welcome to National Taiwan University School of Pharmacy Alumni Association in North America (NTUSPAA-NA). The association's mission is to enhance the communication, strengthen the relationship among members and our alma mater, and to share members' life or work experiences in US with others. 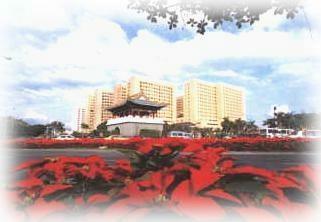 National Taiwan University is one of the most prestigious Universities in Taiwan. Our School of Pharmacy is the leader in pharmacy schools in Taiwan. Our association members reside in the United States and Canada. After graduation from NTU School of Pharmacy, many are working in different areas including health care, pharmacy, pharmaceutical industry, academic research, FDA, or other fields. Many of our members have established themselves with significant contribution in their community, and have received honors and awards. NTUSPAA-NA was established in July 14, 1980. The first president of the association is 許瀛旭, and the first annual association journal was published in Jan. 1981. There are currently about 630 NTU Pharmacy alumni in north America. Among them, ~218 are in the east coast and ~202 are in the west coast.